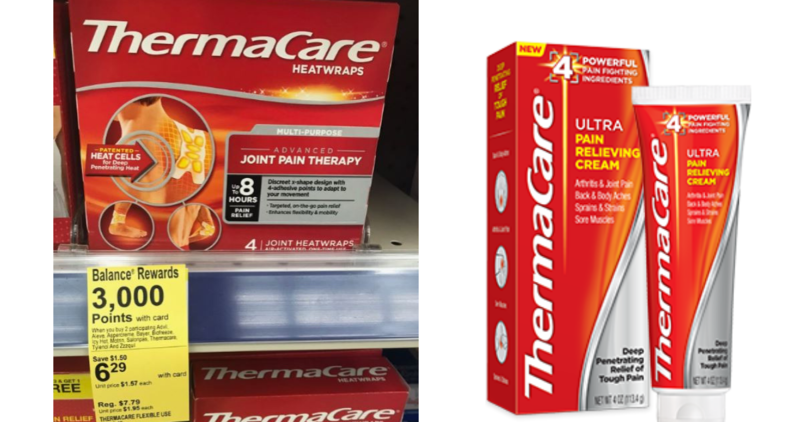 There is new Ibotta offer out that makes for a sweet deal on ThermaCare Heat Wraps! Get 4 boxes of heat wraps completely FREE after a mail in rebate. Heads up though, this offer ends Saturday night!! There’s also a new Ibotta offer for Thermacare pain relief cream. If you’ve already done the rebate on other items (or just don’t want to do it) you’ll get 4 boxes for $3.16 after rewards and the Ibotta offers. That’s still only 79¢ a box!! Tip: For the Walgreens deals, you can pay with any Balance Rewards you already have for this deal and you’ll still get points back! Makes it FREE after Mail in Rebate!